Robyn is the co creator of BeSoul Dance. This is a movement program that brings deep awareness of the body and a connection to ones core inner self. Robyn was a Nia teacher for 22 years before moving into this new dance program. This change represents for her her own soul journey which is a delightful process of spiritual growth. Robyn is also a clinical social worker and has a private practice with a mind body spirit focus. Dancing with Robyn brings me such joy. It truly helps me in terms of achieving full alignment of my body, mind and spirit. Dancing with Robyn helps to energize my body, clear my mind and free my soul which in turn helps me to feel more balanced. I wish I lived closer so, I could have this experience more often. Be Soul is a unique form of dance which allows me to just be myself and feel a deep sense of peace. It helps me to visualize all my possibilities. When I leave her class, I feel a sense of rebirth, like I can achieve anything that I put my mind, body and spirit into! Robyn opens her heart to her students in every class, and in so doing teaches us how to do the same. She guides us to greater awareness and connection to our bodies, to each other, and to a sense of wellness and peace. I drop into Robyn Maltz’s Be Soul classes whenever I can. Robyn creates an atmosphere of acceptance and joy that always lifts my spirit. I am not a dancer, but when I am in Be Soul, I feel free to move my body with the class and I know that there are no judgments. Be Soul always lifts my spirits and helps me to realize that there is a place I can go to be in community with others who want to share their joy and express themselves through dance and movement. Robyn’s classes are a gift I give to myself as often as possible. Robyn draws upon her wealth and depth of expertise in the field of somatic movement education to deliver a complete and satisfying holistic body.mind.spirit practice. Robyn radiates warmth, acceptance, freedom and fun! She dances from her heart and encourages her class to explore their own movement potential and connect to joy in the body. I am grateful to come into class, feel my feet on the ground and take my first breath. Exhaling to leave I feel less stressed, relaxed, conditioned, a sense of community and love myself a little bit more. Dancing with Robyn is a highlight of my week! Dancing Be Soul (aka NIA) with Robyn Maltz is a great blessing in my life! With grace, deep insight, humor, and terrific music, Robyn teaches us to go within ourselves physically and emotionally to express ourselves in joyful dance. 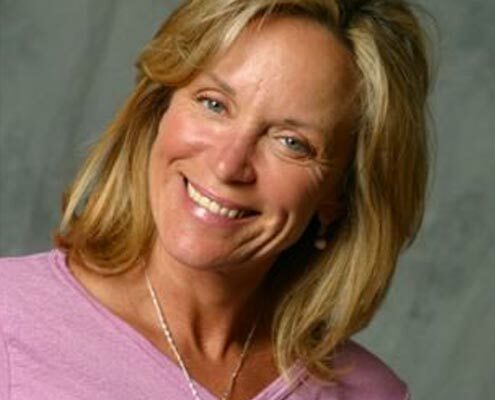 Robyn’s BeSoul class is not only an exhilarating workout, but also a liberating experience of acceptance and knowledge. Who knew that a dance class could be so transcendent? I’ve been taking classes with Robin Maltz for close to 20 years. Robin is one of, if not THE most gifted teachers I’ve ever danced with. Robin brings more than dance expertise to her classes. She teaches her students how to incorporate spirit and soul into our lives and dance routines. I think I speak for most of her students when I say we ALWAYS leave her classes feeling present, uplifted and energized with positive and optimistic energy. In four words…ROBIN IS THE BEST! Dancing with Robyn in BeSoul is an emotional and physical embrace for the entire hour. It’s a work-out for both body and spirit. I can’t wait for the next class!